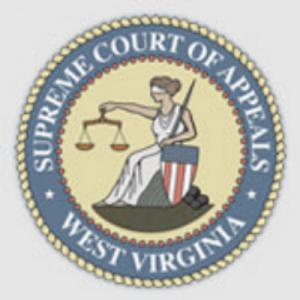 Four justices remaining on West Virginia’s Supreme Court of Appeals are accused of “unnecessary and lavish” spending in 14 draft articles of impeachment approved Tuesday by the state’s House Judiciary Committee. The full House of Delegates could vote on the impeachment articles by next week, report the Charleston Gazette-Mail, West Virginia MetroNews and the Wall Street Journal. If they are approved, the articles advance to the Senate for a trial. All four justices are accused of overspending on office renovations, and failing to establish policies for the use of state resources, including cars and computers. Among the four justices is Allen Loughry, who was suspended without pay before he was indicted in June on federal charges that include fraud, lying to federal agents and trying to influence the grand jury testimony of a court employee. The other justices named in the impeachment articles are Chief Justice Margaret Workman and Justices Robin Davis and Beth Walker. The criminal charges against Loughry are based on allegations that he used a government vehicle and credit card to buy gas on personal trips, lied about his involvement in pricey renovations at the court, and used a state-owned antique desk at his home. He is charged in eight draft articles of impeachment, the most of any justice. Loughry is accused of spending $363,000 to remodel his office. Davis, Walker and Workman are accused of spending nearly $742,000 combined with Davis accounting for more than $500,000. Another justice, Menis Ketchum, retired in a two-sentence handwritten letter after an audit found he used state vehicles for personal use without claiming the benefit on their federal tax forms. His resignation means he cannot be impeached. Ketchum is expected to plead guilty to a count of wire fraud under a federal plea agreement announced last week. Workman, Davis and Ketchum are Democrats, while Walker and Loughry are Republicans. William Raftery, a senior analyst with the National Center for State Courts, told the Wall Street Journal that West Virginia is the only state that gives the judiciary nearly total control over its own budget. A proposed constitutional amendment on the fall ballot would eliminate the provision.